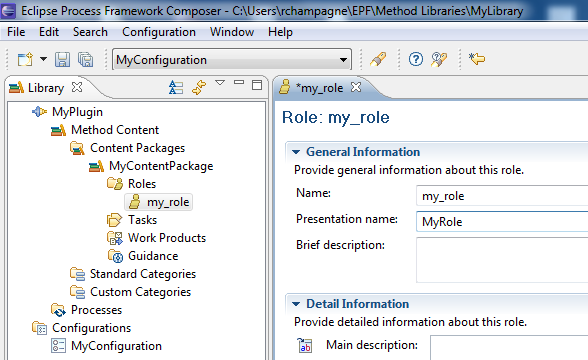 By Roger Champagne, Eng., Ph. 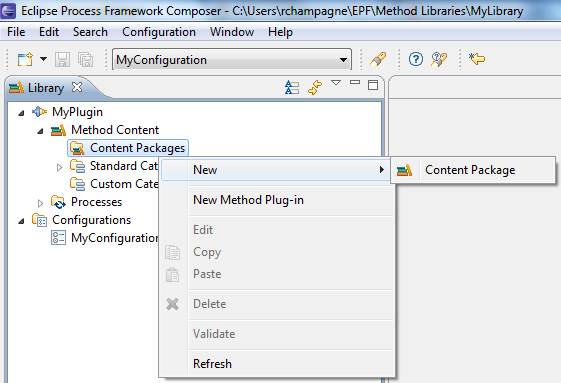 D.
This tutorial aims at sharing my experience with the development of an EPF plugin. 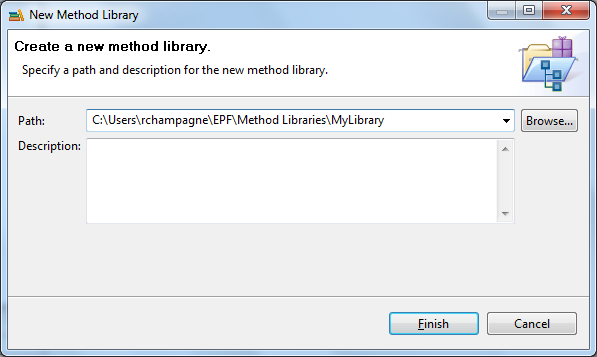 While there are many tutorials on the web that describe how to extend an existing EPF plugin (for example OpenUP), I have found that there is very little information on how to create an EPF plugin from scratch. 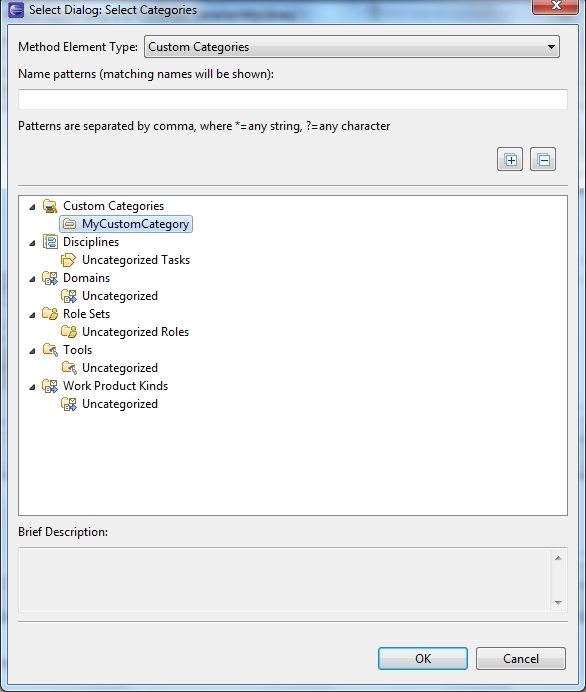 This is what is described in this document. 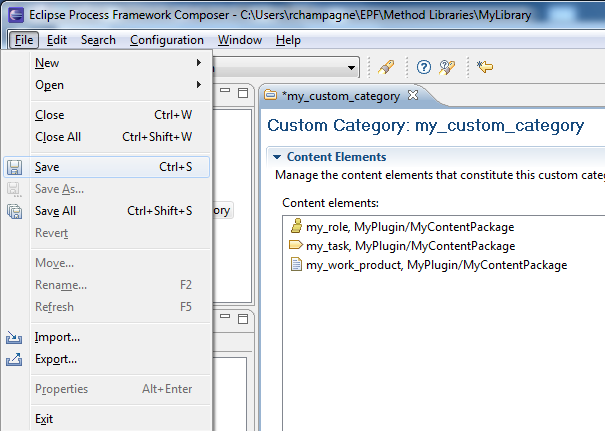 a lot of content (description, etc) of the content elements that are created, because that's the easy part, and well described elsewhere. 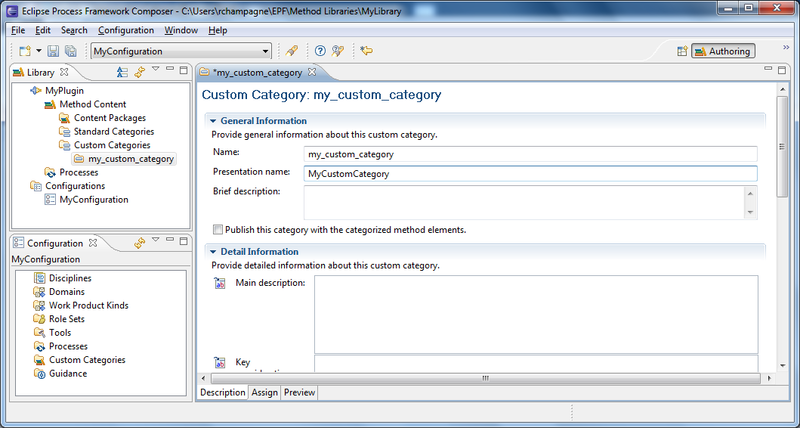 defining custom categories to control what is published and how things are displayed and grouped in the tree view. 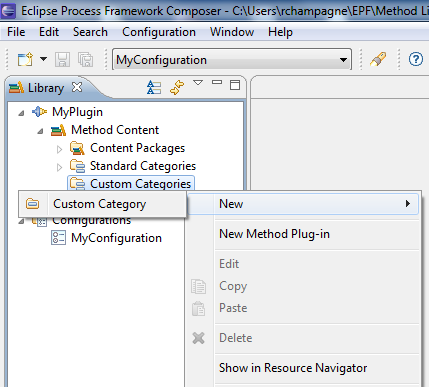 This tutorial is inspired by this document, which I initially found at http://www-users.cs.york.ac.uk/~malihetb/Publication/Eclipse-process-Framework-Step-by-step-example.pdf. 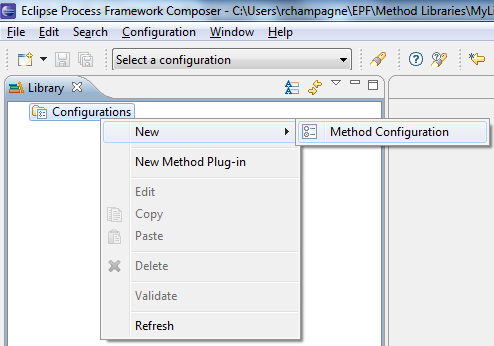 Start EPF Composer, and switch to the Authoring perspective, if not already there. 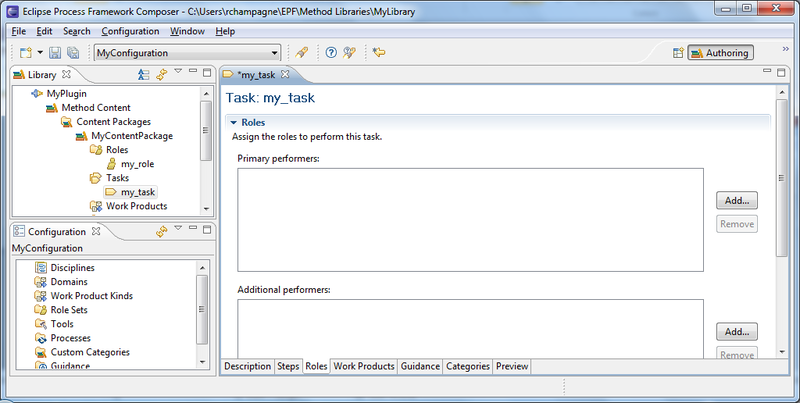 NOTE: EPF uses the Name field as a pointer to the elements, and the Presentation name as a (typically better formatted for humans) display name. 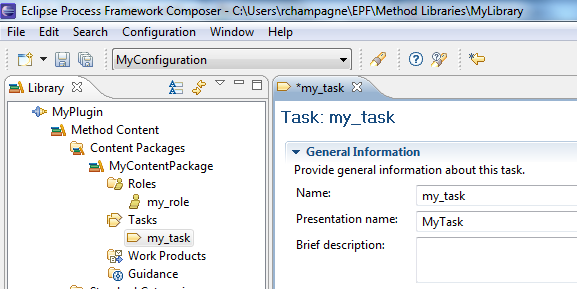 You can use pretty much anything in the Presentation name (spaces, accented characters, ...) but keep the Name field free of any non-standard characters to avoir problems. 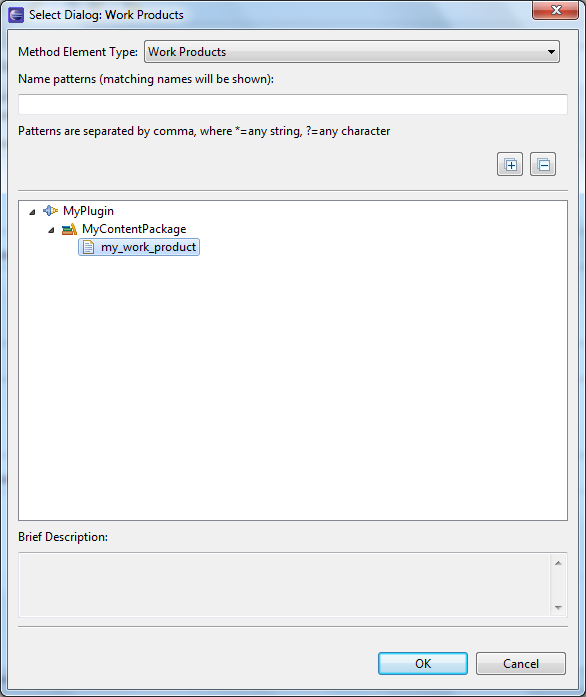 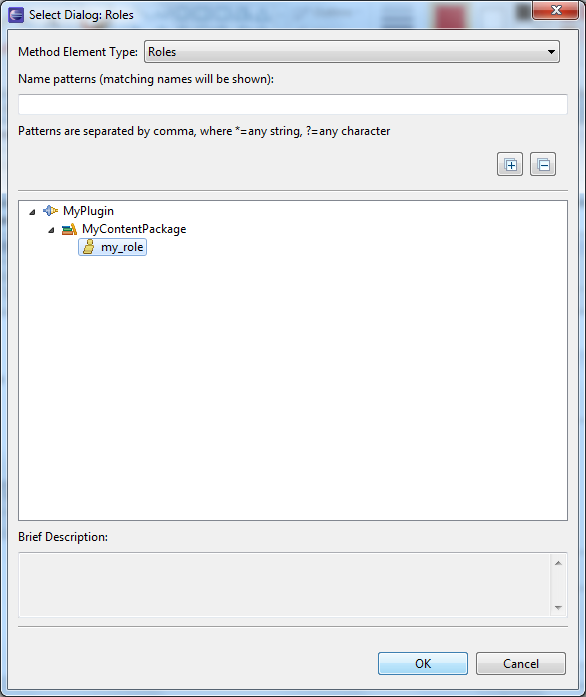 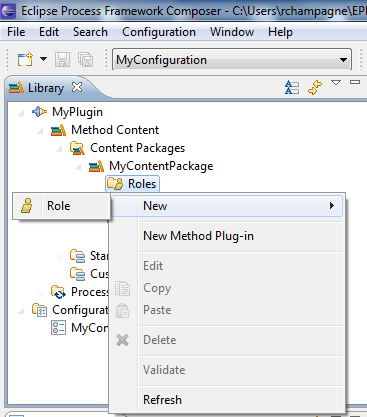 Open MyConfiguration in the editor by double-clicking on it. 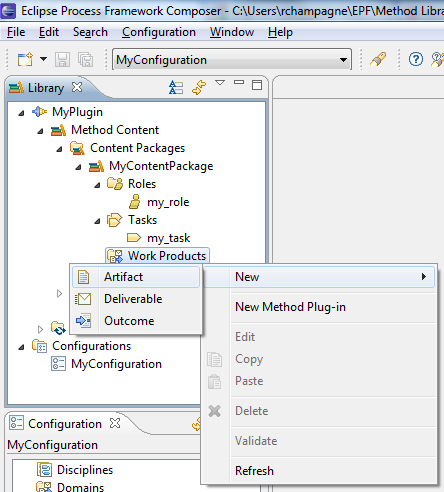 In the "Plugin and package selection" tab, select MyPlugin in the Content section. 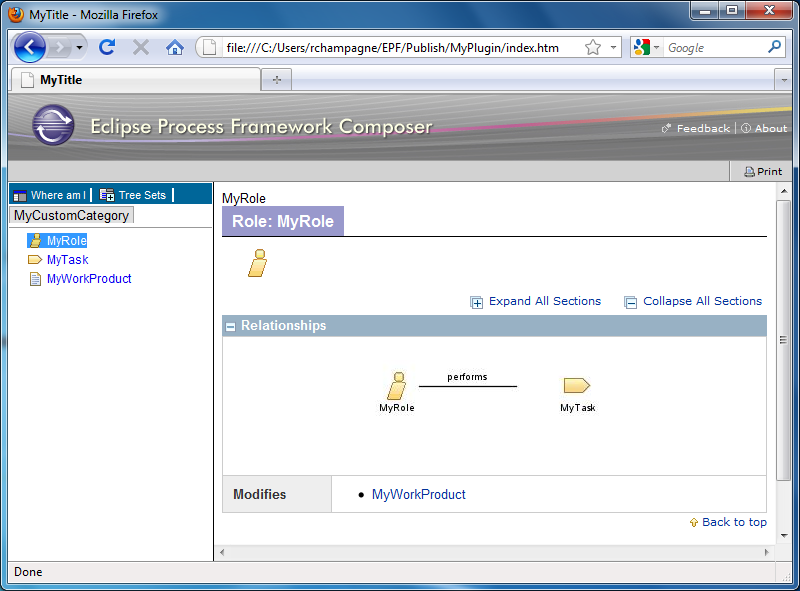 In the Views tab, click on the "Add view" button. 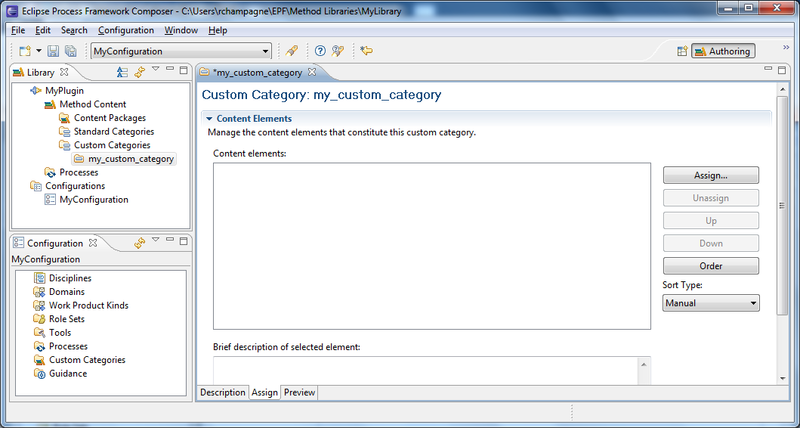 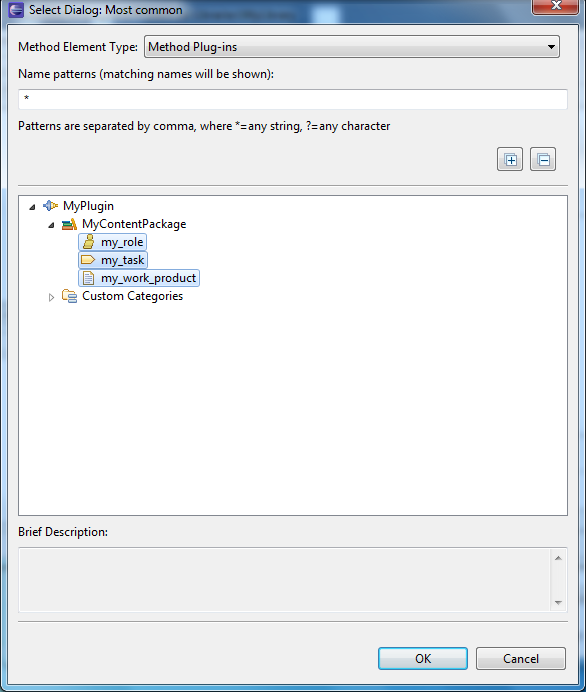 In the new window, select "Custom categories" as "Method element type". 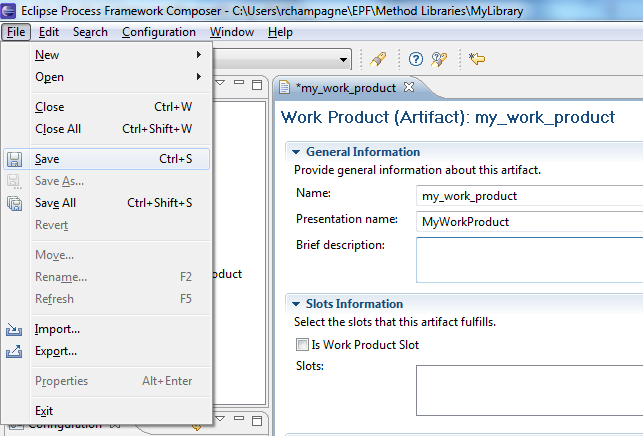 In the bottom part of the new window, select MyCustomCategory and press the OK button. 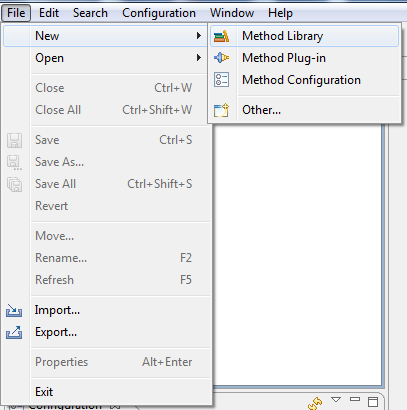 Save the configuration by selecting File→Save. 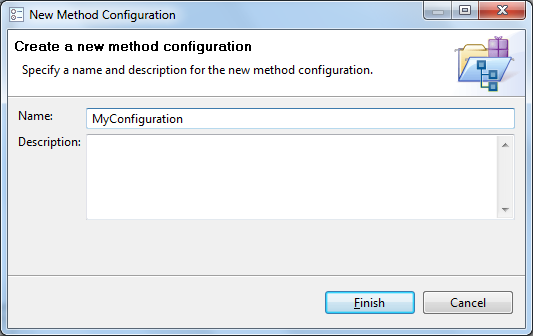 Select MyConfiguration and press the Next> button. 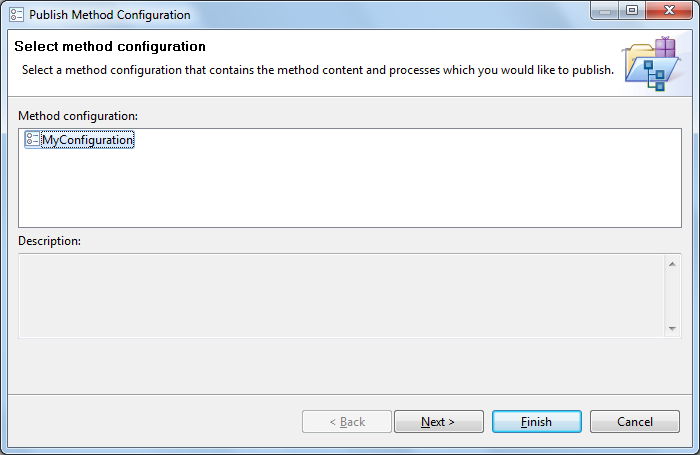 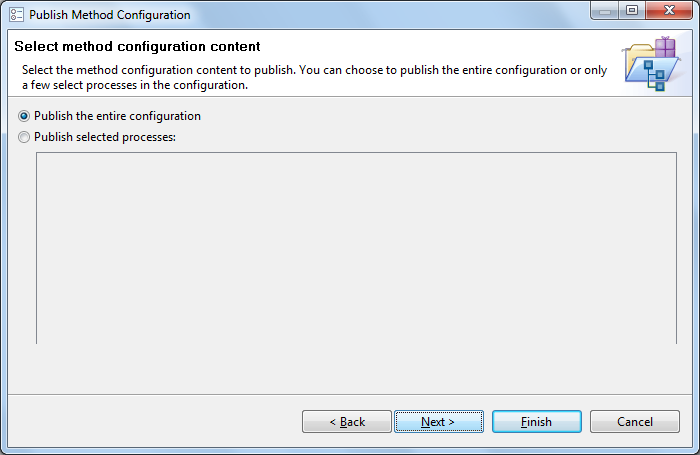 Select "Publish the entire configuration" and press the Next> button. 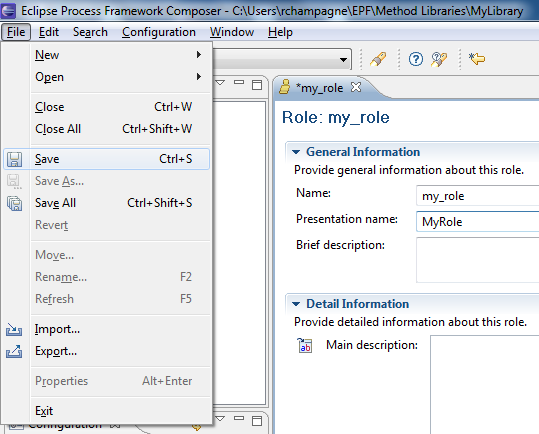 Specify MyTitle in the Title field and press the Next> button. 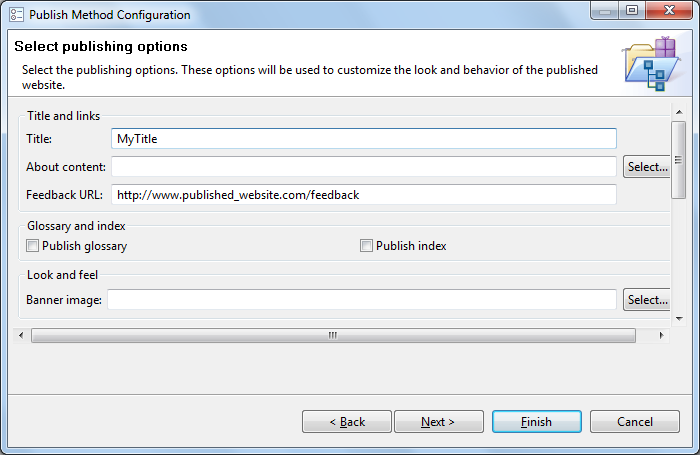 The default publication location is the Publish folder. 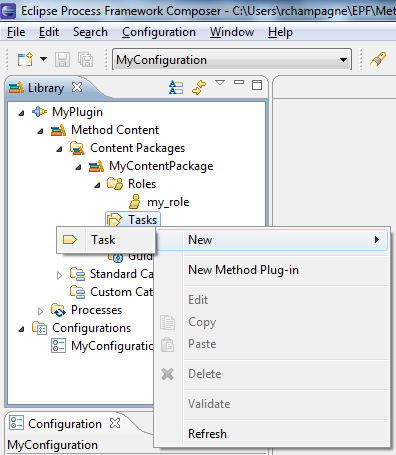 Append "\Myplugin" to the proposed location and press the Next> button. 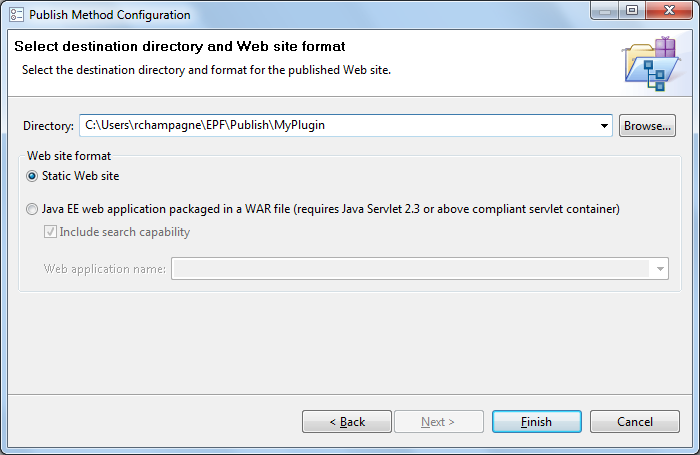 If all goes well, your plugin should appear in your default web browser. 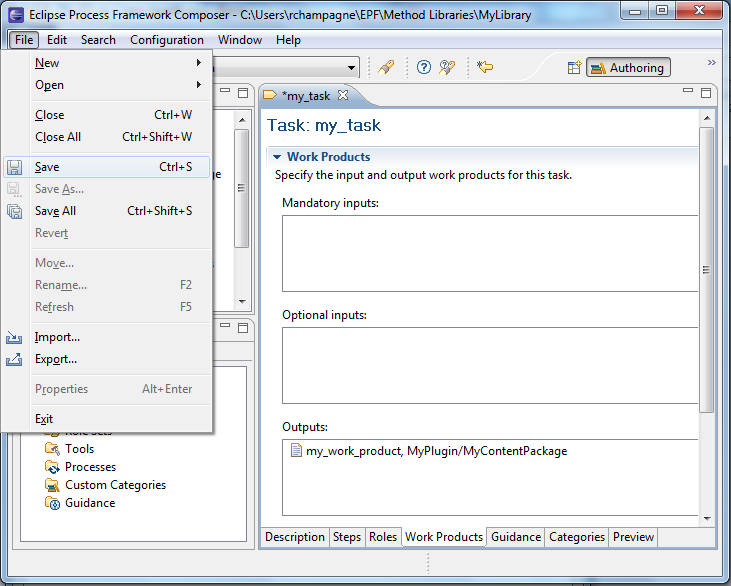 Experiment by navigating the three content elements that were created.